Please spread the word to any residents who might be interested. 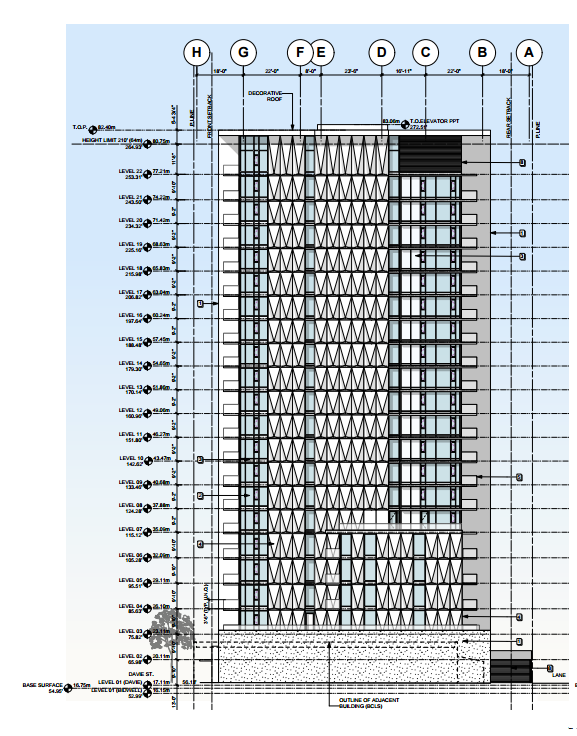 The Urban Design Panel will review the application for a 22-storey tower at 1188 Bidwell Street (1675 Davie Street) starting at 7:15 pm on Wednesday, July 15, 2015. The UDP is an advisory body to City Council. Important information often comes up at these meetings. The public is welcome to attend, but not to address the meeting. Description: To construct a 22-storey mixed-use building. This proposal is for a total of 108 secured market rental dwelling units with three commercial retail units at grade.